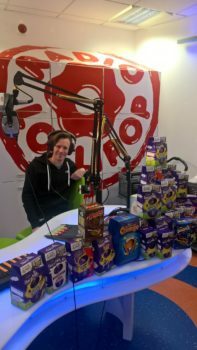 Radio Lollipop Newcastle had a visit from Easter Bunny Lee from Starbucks Eldon Square who brought a super chocolate surprise. The Easter eggs were kindly donated by their generous customers and were greatly appreciated by our young patients. A huge thank you to everyone for your support.